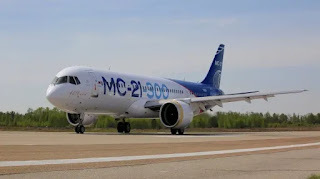 Aeroflot will become the largest customer for the latest Russian-built medium-range aircraft, the MC-21. The landmark contract for 50 of the state-of-the-art passenger aircraft will be signed earlier this week between Aeroflot and Rostec. Under the firm order, Rostec leasing subsidiary Aviacapital-Service will supply Aeroflot with 50 MC-21-300 aircraft on operating leases. Aeroflot will thus become the largest Russian lessor of the latest Russian-built aircraft. The leasing payments and reserves for maintenance will total more than USD 5 billion. The aircraft will be configured for Aeroflot to carry 169 passengers, with 16 business-class and 153 economy-class seats. In the first phase of the contract, the aircraft will be delivered with engines produced outside Russia. From the 26th aircraft, Aeroflot has the option to receive aircraft with new Russian-built PD-14 engines, which are currently undergoing certification testing. Sergey Chemezov, CEO of Rostec, said: "This agreement underscores that Russia's civil aviation industry is making a comeback and taking its place among leading global manufacturers. 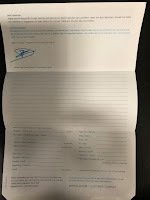 The MC-21 represents a genuine breakthrough achievement for the aviation industry. The aircraft uses cutting-edge materials and the latest generation of systems, created by leading Russian companies. 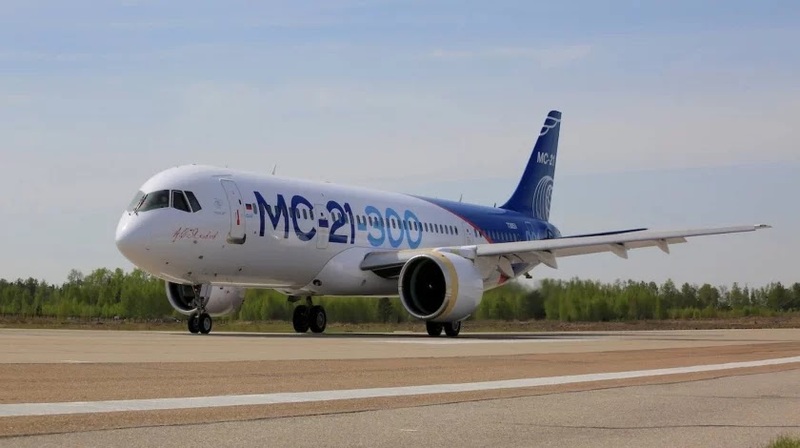 Elements of the MC-21 that Rostec produces include titanium and composite parts, on-board electronics, chassis components, other systems, and the 'heart' of the aircraft - the PD-14 engine. We believe that this engine will be selected by Aeroflot as the primary power plant for the MC-21." 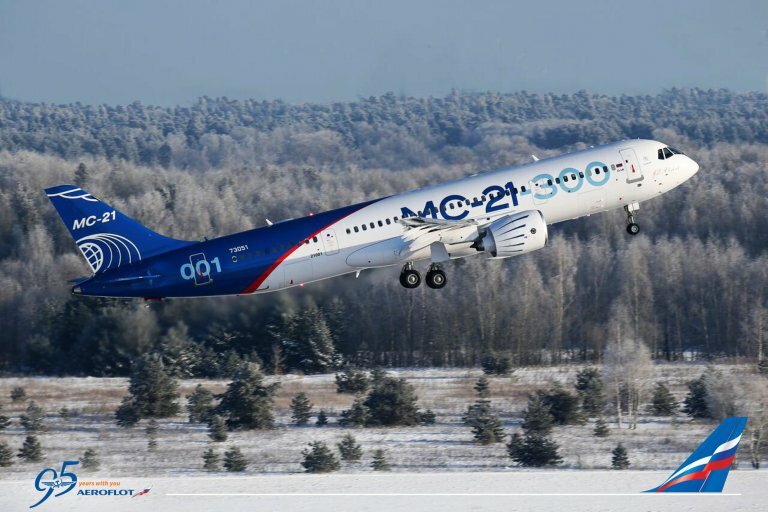 Vitaly Saveliev, CEO of Aeroflot, said: "The signing of a firm order for 50 MC-21 aircraft is a landmark event not just for our two companies, but for our country. Russian manufacturers have created the first next-generation passenger aircraft, marking Russia's return as a global leader in the aviation industry. It is noteworthy that the signing of a firm order between Aeroflot and Rostec coincides with a no less significant achievement, namely Aeroflot's return to the global aviation elite, as one of the top 20 largest airlines in the world. In today's geopolitical context we believe it is essential that there is competitive Russian-made technology, and that it is of the highest quality and competitively priced. For this reason our partnership with Rostec, our largest partner and a shareholder of Aeroflot, is of critical importance."